Completely remodeled with over $700K in upgrades! This desirable residence 2 estate Villa offers sumptuous sunset views of Turtle Rock & Strawberry farms. Boasting 4 bedrooms, 4-and-2-half baths including separate guest casita all on ground floor level. A recently added loft of 200+ square feet can easily be a theater, sound studio or tranquil office. Soaring beamed ceilings, solid walnut flooring and Venetian plaster, natural light flows throughout. The gourmet kitchen offers dual pantries, & SubZero & Wolf appliances & is adjacent to the breakfast nook with fireplace. Large master suite includes seating area, 3 walk-in closets, dual vanities, Jacuzzi tub, expansive shower & private access to the rear grounds. The home is perfectly positioned to take advantage of its recently installed Solar panels & new dual hyper efficient A/C units, saving thousands of dollars each year. Outside, new hand stained, sealed Spanish exterior pavers envelop one of the largest private central courtyards within the Villas, fireplace & ample space for entertaining. A complete backyard landscape transformation highlights a freshly installed pool, water features, a spa, & plenty of seating. The spacious covered loggia offers al fresco dining & features automated blinds and awnings & an entertainment wall adjacent to the pool & custom barbeque-outdoor kitchen center with trellis covered bar seating. Other notable outdoor amenities include a kid's play area & an outdoor shower, office/ exercise gym. 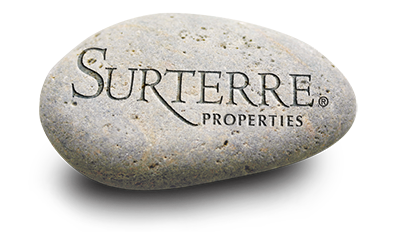 Listing courtesy of Rick Langevin from Surterre Properties Inc.